Is Your Cell Phone An Idol? (Exodus 20:1-6) So the first of the 10 Commandments is worship no idols, no gods and that only the 1 true God is to be worshipped. We don't realize that when we put things before God we make them idols and God is a very jealous God. If you pick up your phone and spend a lot of time on it when you wake up before even acknowledging God and thanking Him for another day etc, in His eyes you've made it an idol. After I got saved I would reach for my phone right when I woke up and I would feel really bad so I'd put it back down, start over and talk to God. Now I make sure I do my daily confessions and prayers before I pick my phone up. My phone is a really big distraction and when I'm reading my Bible I stop and sometimes check it. I know that God doesn't like that because it interrupts our time. Now I put my phone on silent away from me and sometimes turn it off while I read because I don't need any distractions when spending time with God. 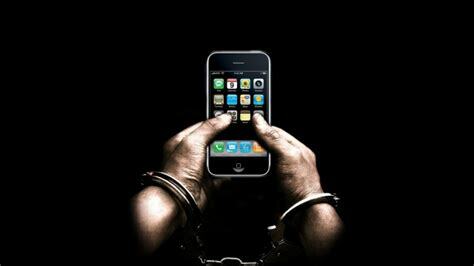 So to the ones that are convicted about their cell phone and social media. I see a girl with a phone in her hand. All of a sudden, there's a chain attached to her phone and it's locked around her wrist but she doesn't notice it. She tries to later put the phone down and grab her Bible, but the phone and chain both become an "anchor" and it weighs her down heavily so she can't reach it. Holy Spirit says "You love Me but what are you sacrificing for My sake?" There are things He longs to speak to you, but you're allowing distractions to take up His time. He wants to love on you and give you great gifts from above, but you are allowing something else to take His place. It hurts Him and those convictions are His way of telling you that. Newer PostDo You Have A Prayer/Victory Journal?